The most popular book in the world is the bible. It contains a lot of beneficial information, that even though were written thousands of years ago, could still be useful to us. Many people in the world own a bible and read it to improve their spiritual growth. However the bible also contains wonderful information and advice that could improve your physical and mental health. That’s why today you’ll be learning about the health tips from the bible. The bible contains numerous healthy living, diet, exercise, mental health and even healthcare tips that can help you remain healthy. 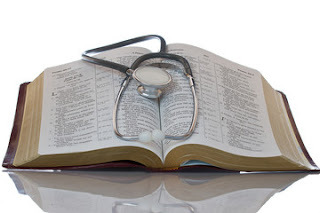 Please read through as I reveal some of the health tips contained in the bible, citing the key scriptures and explaining their benefits. • Exercising helps you have a healthy heart, by reducing the risks of high blood pressure and cardiovascular diseases. • It helps you get in good physical shape. • It is beneficial to your respiratory system, and many more. Exercise can also help you recover from and addiction. Maintaining good personal hygiene is essential for a healthy lifestyle. Because, it will also affect people around you. The bible emphasises the need to wash your hands regularly, so as not to transfer diseases. God told the children of Israel to cleanse themselves by bathing, washing hands and clothes, and separating latrines from where there slept and ate. The bible also talks to maintaining good environmental sanitation. These health tips are still very useful for us today and will help you to prevent a lot of diseases. This scripture emphasizes the need to visit the doctor when we are ill. Some people today don’t think that doctors are relevant, they’d rather try to self diagnose themselves or hope for a miracle. Visiting the doctor when you notice any disease symptom, will help you to prevent it from getting worse. The bible stated that a handful of rest is much more better than a double handful of hard work, how is that so? Sleeping properly for 7 hours can greatly benefit your body and mind better than any activity of 14 hours you will do when you are awake. Losing sleep to work more doesn’t benefit you in any way. In fact depriving oneself of sleep can increase the risk of heart disease and mental illnesses. The health tip from the bible is very beneficial to us today, so make sure you get enough sleep each day. Key scripture: So never be anxious about the next day… – Matthew 6:34 (See also Luke 12:25). Anxiety is one of main causes of depression. Stress is also a leading cause of many mental and physical problems. The bible encourages us stop worrying and stressing ourselves. This advice might seem difficult, but stop to think, you don’t gain anything when you worry about situations that you can’t control. Avoiding things that stress your mind is a good way to improve your mental and emotional health. The bible also tells us a great way to avoid stress, at proverbs 17:22 it says; A cheerful heart is good medicine, but crushed spirit dries up the bones. Key scripture: Alcohol is unruly – Proverbs 20:1 NWT (See also 1Cor 5:11; Pro 23:20). First off, the bible doesn’t condemn alcohol, scriptures like Ecclesiastics 10:19, Psalm 104:15 all speak about the benefits of alcohol. Even the apostle Paul advised Timothy to use alcohol to treat an illness ( 1 Timothy 5:23). Alcohol itself has numerous health benefits when it is taken in moderation, for example it relaxes the body and reduces HDL levels in the body. But what the bible warns about is excessive drinking alcohol. Drinking too much can cause manifold diseases to your body, for example too much alcohol intake can damage your liver. Here the bible clearly advises us to eat in moderation. Why is eating in moderation healthy? Because for one eating in moderation can help you keep a balanced weight more than any diet or lifestyle change. It also helps you avoid problems associated with compulsive overeating like sleep apnea, diabetes, hypertension etc. I hope you have benefited a lot from what you have learned today, and I hope didn’t sound like I was giving a sermon. Everything in the bible were written for our own good, and so are these beneficial health tips. Practicing these health tips will give you good health! I want to conclude with a scripture 3 John 1:2, which says; Beloved one, I pray that in all things you continue to prosper and enjoy good health, just as you are now prospering. Thanks for reading. I’d love to read your comments too. You can also tweet this to your friends. If you enjoyed what you’ve just read you can Follow us on Twitter | Like us on Face book | Sign up for our newsletters. Then you’ll never miss any amazing post.